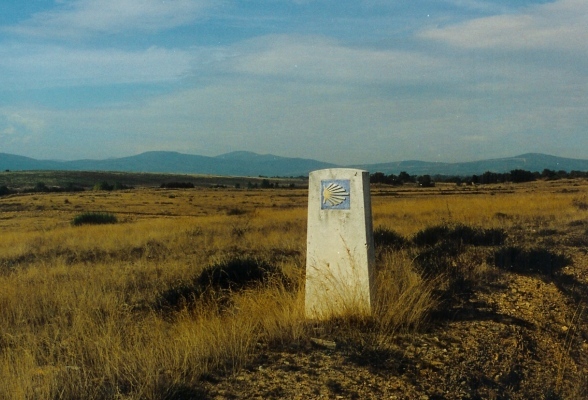 Spain’s Camino Frances is one of the best known walks in Spain. This walk takes you through the drier regions such as Rioja and Castile, then through to cooler Galicia. The traditional Camino begins in St Jean Pied-de-Port, crosses the Pyrenees to Roncesvalles. Then to Pamplona, Burgos, across the Meseta to Leon. Then through Ponferrada, O Cebreiro and through Galicia to Santiago de Compostela. Alison Raju wrote one of the original guidebooks ‘The Way of St James’, which is a useful book, with maps, route directions and accommodation suggestions. The Camino route is 750 km long and for those contemplating this trail for their walking journey or pilgrimage, planning is required. The route is well marked, and it’s always advisable to take a map and guide book. 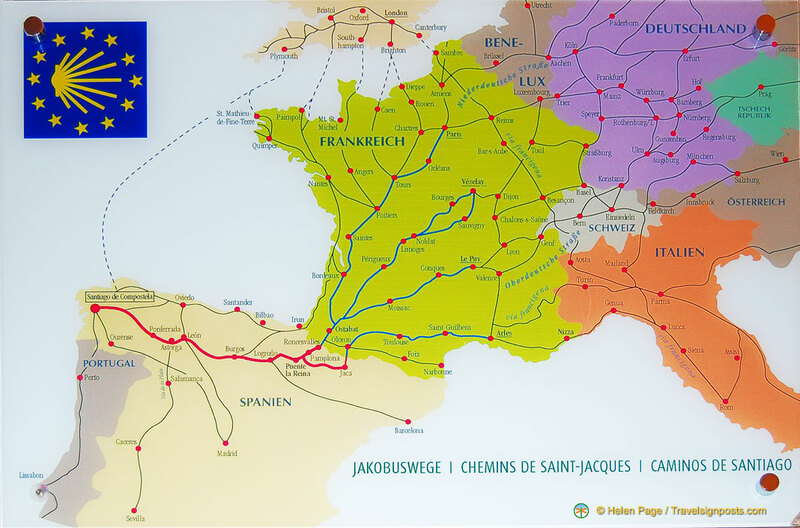 Some general information about the walk: Camino Route: Starting from St Jean Pied-de-Port, the 750 km trail wends its way westwards and ends at Santiago de Compostela, a UNESCO World Heritage Site. The terrain is quite variable, taking you through warm flat regions to colder, wetter mountain ranges. Some Highlights: Pamplona’s gothic cathedral, the pilgrim bridge at Puenta la Reina, cathedrals at Burgos and Leon, Templar castle at Ponferrada, Celt-Iberian village at O Cebreiro and the wonderful Obradoiro Plaza and cathedral at Santiago de Compostela. Walking Route Planner: The number of days required depends on how fit and how quickly or leisurely you want your walking holiday to be. Work out the average number of kilometres you are prepared to do in a day, taking into account the landscape and the town or village in which you will end your day. It’s also nice to plan on arriving a little earlier in a town or city if there are interesting attractions you may like to visit, such as in Burgos or Leon. We did the walk in 25 days (missing out the section between Burgos and Leon), however it’s also possible to do it in a shorter time, but this misses the point of the journey. Luggage transfer: This efficient service is not readily available but can be organized through a number of tour operators on the ‘self-guided’ or ‘guided’ itineraries. Your Camino Accommodation: This is usually in refugios with mixed dormitories which cannot be booked in advance. Other options include pensions and hotels which we advise to book in advance. Food: The best value meal on the Camino is the Menu del Dia, a three course offering which includes bread, water and wine. The Spanish regional foods are to be enjoyed and there are other options on the menu. Most tavernas can cater for vegetarians or people with other food preferences. When to go? The northern Spring or Autumn seasons are recommended as accommodation is easier to obtain and the pilgrim numbers are lower. Summer is too hot, and winter is an option for those seeking a more solitary journey. Walking Gear: Good walking boots and socks are critical. Your boots should have been worn in. Also important is what rain gear to take. Make sure it’s made from a breathable material such as Gore-Tex. Our Take: This is a once in a lifetime journey through northern Spain, following in the paths of pilgrims throughout the ages. Food, history, culture and fellowship. Don’t forget to bring your camera. Be prepared for rain and the wonderful walking. The Way is well marked. See you on the track.